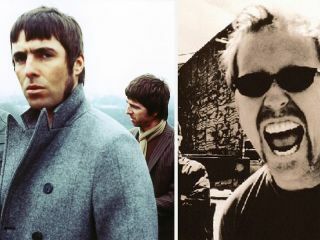 Metallica Vs Oasis: Best act in the world today? The nominations for this year's Q Awards have been announced and, perhaps unsurprisingly, Coldplay are leading the field with four nominations. Chris Martin and co are up for best track, best video, best album and best act in the world today. This year's breakthrough artist category is very much a female-affair, Bon Iver being the only exception. Best act in the world today also makes for an interesting line-up, with three of the nominees: Oasis, Metallica and Kings Of Leon, releasing highly-anticipated albums in the coming weeks. Nick Cave And The Band Seeds - Dig!!! Lazarus, Dig!!! The awards take place on 6 October. Check back then to see how wrong we were.